Feel better, stronger, more clear and effective than ever before! Do you ever find yourself experiencing any of these feelings? If so, you can find out how to quickly feel relaxed, refreshed, and revitalized without long processes, practices or prescriptions! As humans, we’re vibrational beings. From our thoughts, to our emotions to our physical bodies, we’re composed of pure energy. Cutting edge scientific theory now proposes a foundation for understanding that at the most fundamental level everything is composed of infinitesimally small strings of energy vibrating at different frequencies. These occur as the tiniest, indivisible subatomic building blocks combining in different ways to form the quarks and leptons that make up matter, as well as the elementary particles – bosons – that communicate light, electromagnetism and the other physical forces. So we might assert that at some level the only difference between a thought, a word, a body or a rock is simply the density and frequency of the energy of which it’s composed. We commonly think in terms of energy when we describe what it takes to move through our days, think, plan, interact, take actions and accomplish what we need to accomplish. But we often think of it only as something that it takes to power us in our activities, rather than the actual substance that we’re made of and that can so dramatically influence us spiritually, mentally, emotionally and physically. From that expanded perspective, you can imagine how it would be useful to learn to recognize, manage and use many of the energies that are always flowing in, around and through you. 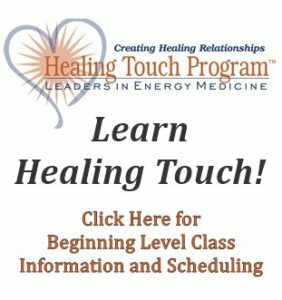 The purpose of the Energy Tools training is to help you understand how your vital energies work, how you can gather up and supplement your life force at any time, and gain a powerful meditation technique that will leave you feeling clean, clear and enlivened any time you use it. You’ll learn how to use a few simple tools that will allow you to quickly and easily let go and get rid of energies that you have somehow taken on from others. You’ll also learn how to simply and effectively prevent yourself from absorbing negative or low vibrational energies in situations where you’re exposed to them. You are an energetic being! You’re endowed with and enlivened by an innate life force energy. Your life force, thoughts, emotions and other influences manifest as an energy field, a biofield that exists in and around you. Every interaction that you have with others, is an energy exchange in some form or another. Your energy field will be affected and influenced by others, and you will likely affect the energy fields of others. You are responsible for everything that exists inside your energy field. You have the ability to manage and control what you allow into your energy field and what you let go from it. All thoughts – and especially emotions – exist at a particular energetic vibration. Some exist at a high vibration, others at a low vibration. You get to choose your own energy levels and vibrational state! You manage and control your energy levels and state via your attention, thoughts and intentions. Your ability to imagine – to create mental images or thought forms – is the basis of intention. These tools simply train you to use your attention, thoughts and intentions in specific ways to manage your energy. 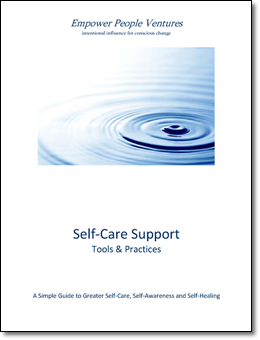 One of the things we understand is that as a individuals living and interacting in a complex, busy often stressing world, is how a few of these simple tools can support you to be more present, relaxed, capable and effective in virtually any capacity. Whether you’re spending time alone or engaging with others these easy to use techniques can support you. To view a free informational video and understand more about Energy Tools and how they can benefit you, click here now!